today, you are exactly 18 months old. This may not seem like a big milestone to some, but for us, it’s a miracle. This was the age there were times I never thought we’d make. This was the age I set ourselves to reach at the darkest abyss of the beginning – ‘if only we can get to 18 months, we can get through it all’, I would say, wishing away every minute. There are four babies I’ll never hold, so holding you was life-changing. I remember the joy of your birth. My mum was with me and we laughed and joked and smiled at the wonder of it all. Hubby was overjoyed and especially delighted when you came out ginger like him! Daisy and Poppy couldn’t believe their luck – a perfect little doll that moved. All was well with the world. And four days later, I lost my mum. She did not die, but I was left with her shadow and the loss of never being held ferociously again, as I held you. Those days and weeks and months that followed, I’m ashamed to say, were dark, dark, dark dark days. It was as if my heart wasn’t big enough for all the love and all the grief I was feeling, and so the grief overwhelmed it all. There were days, even moments, when I literally did not know how to get through to the next. But you are a fighter. You are an energy force unlike anything I have ever encountered. You are a mystical beautiful beast that rose from the ashes of my life and battled and beat me until I broke through the grief and bathed in the love. You are like dynamite. You are a ball of fire. You are a hurricane of love and glory and mischief and enchantment and magic and mayhem. We have made it to 18 months and you got me there by the sheer will of your love, the ferocity of your hugs, the glory of your gusto. You are a little goddess of goodness, and a little demon of devilment. But you have the smile of an angel. You have the giggles of a cherub. You have the capacity to love and show affection like an army of babies. When you run into my arms, and bury your face in my neck, squirming to get your body as close to mine as humanly possible, it’s like the earth melts away and we are floating in space. And nothing makes my mum’s face light up as much as the sight of you. Today you are 18 months old. I no longer wish away the moments, but relish every frustrating, fabulous second (with a slight trepidation as to what you’re going to put me through over the next 18 months, the next 18 years, and the next 18 years after that. I’m on a health regime just so I can stay alive long enough to keep you out of trouble for as long as possible). We made it. I’ve been up since 4am with Poppy coughing. Yesterday Daisy called me a Poo Poo Head before storming out of the room. And you? You smashed my iphone. For the third time. 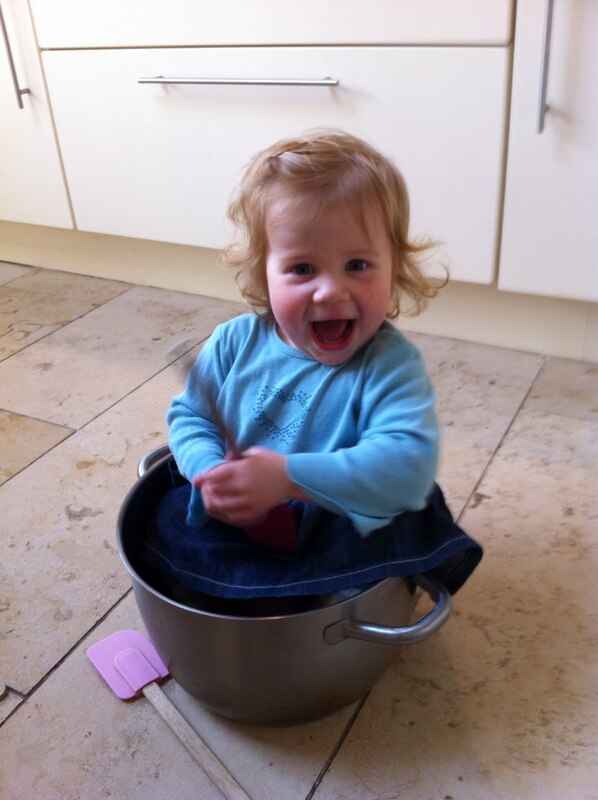 Ohhh Happy 18months dear little Ruby… and well done Mama! You really deserve a hearty pat on the back my friend. Ruby sounds a perfect match for my Felix (20 months), I think together, they would be unstoppable! What a beautiful tribute to your beautiful little girl. I love this especially – You are a hurricane of love and glory and mischief and enchantment and magic and mayhem. My little girl was 18 months old on 26th March and your words reflect every ounce of love that I have for my little one. Ruby sounds like a wonderful character! This is the first time that I have read your blog – I'm definitely now a follower. PS – Your strength is an inspiration.